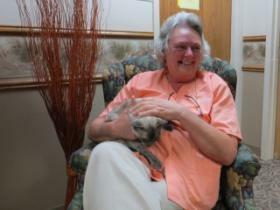 Lisa Davis with the resident cat at Trinity Center. Iowa Public Radio is returning this week to its “Being in Iowa” series. 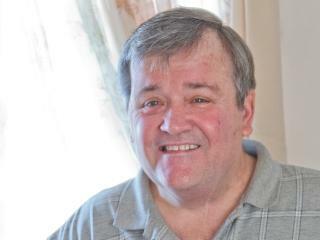 Over the next five days, correspondent Rob Dillard will be asking the question, what does it mean to be a caregiver in the state? We begin today by talking about those who provide direct care for a living. It’s an occupation dominated by women and it’s one of the fastest growing workforces in the state. It’s also a job that pays very little and that many end up leaving. Rob Dillard reports on why – and how the state may be changing that. Today, we continue our week-long series “Being a Caregiver in Iowa.” Yesterday we looked at professional caregivers, who face low pay and lack of training. In most cases, however, the responsibilities of direct care-giving fall to families. When it comes to families with an autistic child, this work can last a lifetime. In Part Two of our series, Iowa Public Radio correspondent Rob Dillard takes us to West Des Moines, where we meet the parents of an autistic boy, and their teenage daughter, who keeps an eye on her kid brother. Iowa Public Radio has been bringing attention to the families and professionals who tend to the health needs of Iowans. It can be stressful and emotional work, perhaps never more so than when the person in need of care nears the end of life. Correspondent Rob Dillard takes us to a comfortable, peaceful place set on the edge of woods in Des Moines. 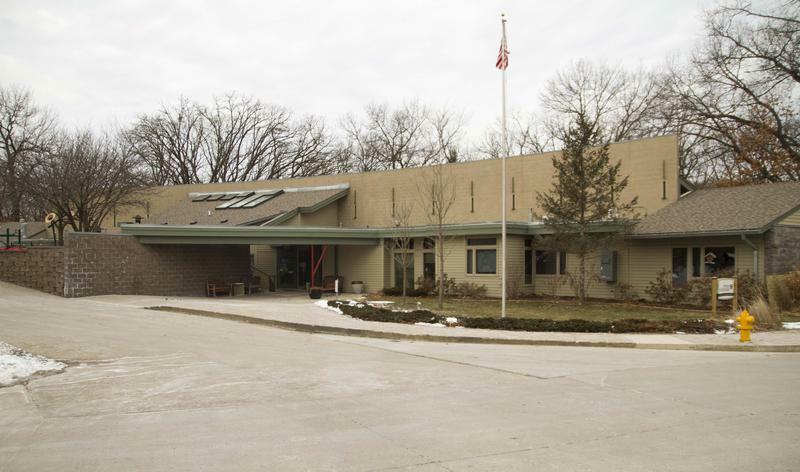 It’s a hospice, a home where many people move to spend their final days. We’ve spent the week with people who perform some of the toughest work there is – the professionals and families who care for the sick and dying. We conclude with a road trip to the south side of Des Moines. Correspondent Rob Dillard rides along with a home health nurse as she makes one of her 20 or so weekly patient visits. She delivers a style of health care reminiscent of bygone days when medical personnel often arrived at their patients’ doors to provide services. This kind of direct care is still in demand for those who are unable to venture far from home.